Papers: Dates and amounts unknown. 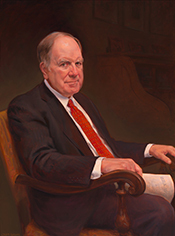 The John Spratt papers are currently closed. This collection ably documents Spratts service as U.S. Representative for South Carolinas 5th congressional district, serving from 1983 until 2011. Papers: In the Robert W. Hemphill Papers, 1926-1984, 6.25 linear feet. Papers: In the papers relating to the Catawba Indians, 1980-1995, 2 linear feet. The copies of papers are from the office of Congressman Spratt, in particular the file cabinets labeled Catawba Settlement, and Catawba Funding, and copied at the Catawba Cultural Preservation Archives. The originals were returned to the office. Also included are correspondence and memoranda, court filings, reports, studies and notes, legislative acts, legal interpretations, settlement drafts, and newspaper clippings relating to settlement funding issues, title rights and insurance, tax issues, and settlement negotiations, hearings, studies, negotiations, and final settlement pertaining to the land claim lawsuit brought by the Catawbas against the state of South Carolina and the United States to address grievances extending from the Treaty of 1840. Papers: In the Strom Thurmond Gubernatorial Series, ca. 1923-1955, 75.3 cubic feet. Persons represented include John Spratt. Photographs: In the Strom Thurmond Photographs Series, ca. 1902-2002, 78.5 cubic feet. Papers: In the College History Collection, ca. 1900-1996, 273 items. Correspondents include U.S. Rep. John M. Spratt congratulating the college on its one hundredth anniversary. Videoreels: 1996, 6 commercials on 5 videoreels. The commercials were used during John Spratts 1996 campaign for U.S. Congress in District 5 of South Carolina, Democratic Party.